been published, but they will be minor adjustments. Johnson's present synthesis will stand the test of time. The book is a tribute to him and to the high standards of Thames & Hudson, and should be profitable, delightful reading for everyone. A new London tour operator has launched guided tours that depart frequently from London. 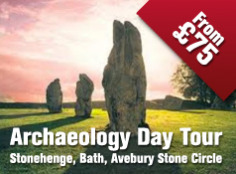 Tours from Antiquity offers a unique opportunity to explore the awe inspiring world famous Stonehenge and Avebury Prehistoric Landscapes with an expert service, guided by a qualified archaeologist. 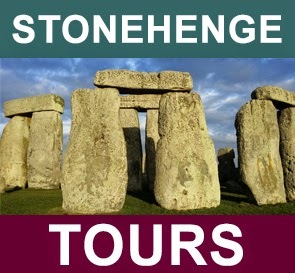 Offering a superb day long tour from the centre of London to these fantastic prehistoric wonders. West Kennet Long Barrow - One of the largest Neolithic burial tombs in Britain. The West Kennet Long Barrow was constructed about 3700 BC, and was in continual use for well over 1000 years. Silbury Hill - The largest man-made mound in ancient Europe, Silbury Hill was constructed c2800 BC. Even after centuries of research, archaeologists have still not discovered the original purpose of the Hill - ideas include it use as a territorial marker, burial mound and as a cenotaph. Avebury Henge, Stone Circle and West Kennet Avenue - The largest stone circle in Europe, Avebury formed the centre of one of the most impressive Neolithic ceremonial landscapes in Britain. The great circles, 200 standing stones arranged in an outer and 2 inner circles, surrounded by a massive bank and ditch, were the focal point of the area. They were connected by the West Kennet Avenue of standing stones to other locales in the region, including the Sanctuary on Overton Hill - the site of a postulated temple. Hundreds of great sarsen stones from the downland around, often weighing over 20 tonnes, were used in the construction of the site, some 2500-2200 BC. Stonehenge Cursus - (sometimes known as the Greater Cursus) is a large Neolithic cursus monument next to Stonehenge. It is roughly 3km long and between 100 and 150m wide. Excavations by the Stonehenge Riverside Project in 2007 dated the construction of the earthwork to between 3630 and 3375 BC. This makes the monument several hundred years older than the earliest phase of Stonehenge in 3000 BC. Bronze Age round barrows - The Stonehenge UNESCO world heritage site is said to contain the most concentrated collection of prehistoric sites and monuments in the world. One monument type missed by the casual observer is that of the Bronze Age round barrow (burial mounds). As we walk through this landscape, you will come into contact with these intriguing ancient burial sites and through the expertise of our tour leaders, you will come face to face with the customs and people of Bronze Age society buried in close proximity to the unique stone circle of Stonehenge. Stonehenge Avenue - Walk along the Stonehenge Avenue and approach this unique stone circle as was the intended route experienced by the Stonehenge's contempories. 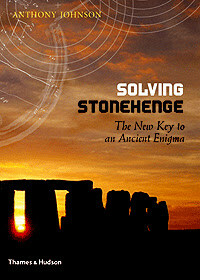 Admission to Stonehenge - The great and ancient stone circle of Stonehenge is an exceptional survival from a prehistoric culture now lost to us. 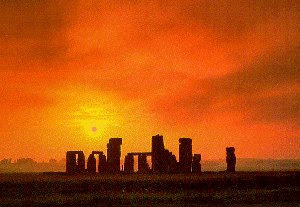 The monument evolved between 3000 BC - 1600 BC and is aligned with the rising and setting of the sun at the solstices. You will enjoy the passion and enthusiasm expressed by our professional Archaeologist tour leaders. Tours From Antiquity is owned by qualified archaeologists and our tourleaders are all qualified archaeologists, offering the most professional service possible. On our tours you will be travelling with no more than 17 other people - guaranteed. With smaller group sizes comes a more personalised excursion experience. 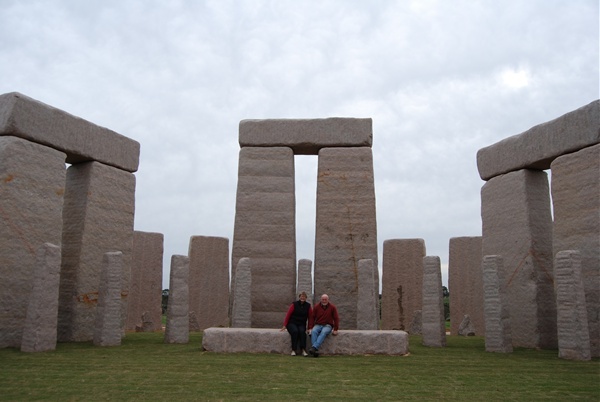 JILLIAN and Kim Beale’s construction of what is thought to be the world’s only life-size replica of the ancient Stonehenge ruins on their 1,066 acre Merivale Road property has taken another step forward with the addition of a new outer circle. The Esperance couple took on the challenge of what they have called StoneHengeEsperance after the stones, which were originally cut for a similar project which was planned for Margaret River, became available when that project fell through. Until three weeks ago, the build had included ten horseshoe stones – the highest being 7.7 metres and weighing anywhere from 38-55 tonnes – set with an 18 tonne lintel on top of each pair. Following a brief construction lapse, the Beales have now erected an outer circle of 19 trilithon stones, surrounded by a circle of 30 sarsen stones weighing 28 tonnes.